Ceràmicas Mora, a Spanish company based in Illescas (province of Toledo) that has been manufacturing clay products for more than half a century, recently started up its third plant for high-quality production of facing bricks, pavers and ventilated façades. 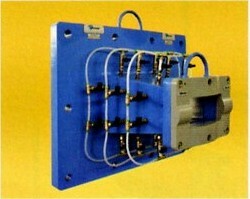 TECNOFILIERE was asked by the Spanish company to design the extruder dies for the new production line. 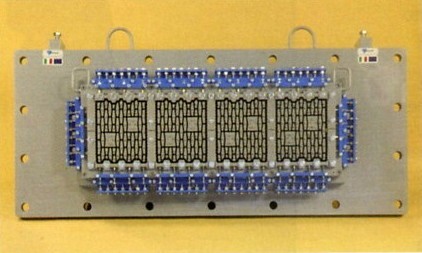 Pictured: lubricated die for "adoquines"
A four-exit extruder die for semi-wet paste extrusion of thermal wall blocks of dimensions 240 x 275 mm is a tall order, but one that TECNOFILIERE has met at Ceràmicas Miramar’s new factory in Bailén, Andalusia, for the production of a full range of wall blocks. To satisfy the specific conditions of use, the new extruder built by TECNOFILIERE, a conical type with dual external braking system – required innovative design procedures, close cooperation with the customer and use of special materials. 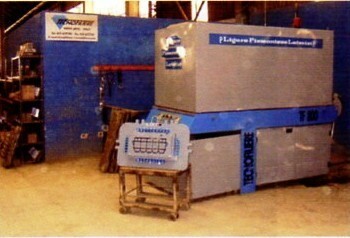 Tecnofiliere took part in CLAYTECH 2006, the TECNARGILLA section dedicated to brick industry suppliers. 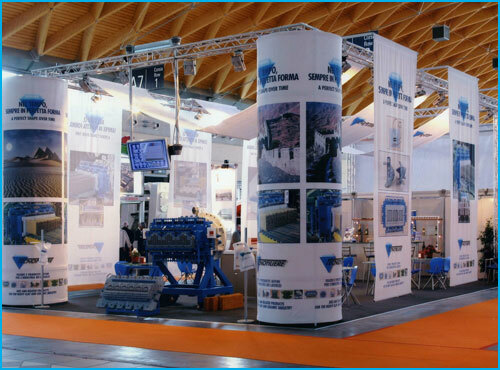 TECNARGILLA 2006 held in Rimini from 28 September to 2 October has recorded the participation of the world’s leading producers of machinery and equipment for the ceramic and brick industries. 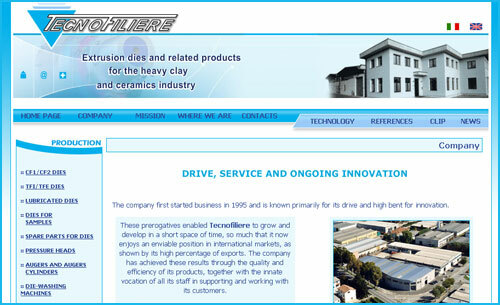 New Tecnofiliere website is on line. Not just the creation of a new “look” but the introduction of a new and increasingly web-focused strategy of corporate communication. The website was designed with a CMS (content management system) platform. The system allows for complete updating of the website’s contents and graphic design directly by the company itself. This will make it easier to adapt the message we want to get across via the website in response to the various demands that come about. Tecnofiliere aims to use its website to offer the market comprehensive information and, at the same time, provide its customers with a range of services in a dedicated, reserved area with password protection. The tenth Ceramitec, International Trade Fair for Machinery, Equipment, Plant, Processes and Raw Materials for ceramics, powder metallurgy and heavy clay, held in the Munich exhibition centre, Germany from 16 to 19 May. The triennial show saw the participation of 612 exhibitors from 42 countries and attracted more than 22,000 trade visitors from 106 countries. Tecnofiliere reconfirmed its presence at the leading international trade fair for the industry. Curious to find out how many clay product manufacturing companies operate in Italy’s Liguria region, we discovered that the only company in the region still in business is Ligure Piemontese Laterizi (LPL), a historic brick producer that has been operating since the nineteenth century. In the early 1990s, LPL asked the industry leader TECNOFILIERE (Novi di Modena, Italy) to supply its patented wide-exit plants of type CF2 with conical extrusion system. This company also supplied a pressure head and a TF800 die-washing machine and stands out for the quality of its products and its capacity to solve problems, the punctuality of its deliveries and its excellent pre and after-sales service. This thanks to its technologically advanced workshop and a highly specialist staff with a decade of experience in the sector.